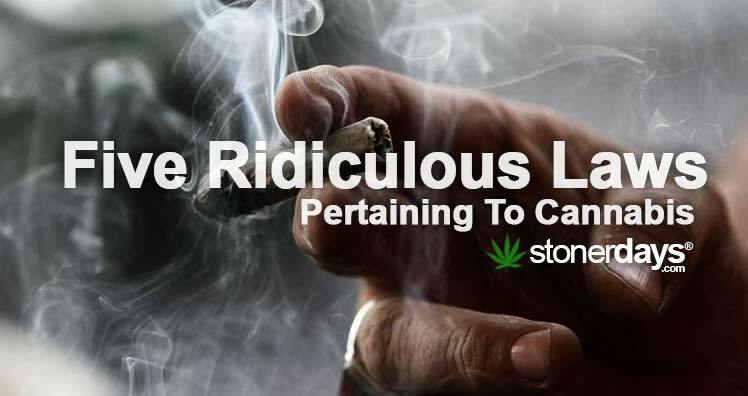 Some cannabis laws are in place to keep us safe, but these laws seem to come from a long ago forgotten time when you hand cranked up your jalopy and drove to the box social with your sweetie. Thankfully, the laws are beginning to change. With the help of cannabis advocates everywhere but unfortunately, some of these are still around. Always remember to be careful when smoking in places where marijuana might not be popular. Be sure that you know the laws in different states when you visit. You never know when the cops will pull you over. In Texas, it’s ok to give someone life in prison for marijuana. Tyrone Brown was a teenager that attempted to steal a man’s wallet containing $2. Tyrone gave back the money and the man’s wallet when he realized what he was doing was wrong. “Luckily” after some support from the press Tyrone was released after serving 17 years. Then there’s the case of Jacob Lavoro, who was caught selling edibles (again in Texas). Police claimed Lavoro was running a low level edibles operation. He was initially charged with first degree felony possession and intent to distribute. These crimes carry a harsh sentence up to life in prison. The charges were dropped. The idea that such low level crimes can carry such a harsh punishment is frightening to say the least. In Texas, possession of anything less than two ounces is punishable by up to 180 days in prison. Plus a ridiculous fine of up to $2,000. The sale of any amount of marijuana over fifty pounds can land you up ninety-nine years in jail. Marijuana is illegal in Texas but still taxable. The idea here is to “tax” any person found in possession of marijuana. If they have already purchased a tax stamp. Since marijuana is still illegal, the only way to get the stamp is to already be in possession of the substance. The government found this to be unconstitutional on a federal level yet it remains in effect to this day in Texas. The fact is, they are double tapping you with fines and nothing is being done about it. Get caught in Oklahoma with any amount, go to jail for a year. In the state of Oklahoma, getting busted with cannabis (any amount of the stuff) can land you in jail for a year. If you get caught for a second time, again with any amount, no matter how small, you can get jail time for up to ten years. Having any sort of concentrate will get you in even deeper trouble, especially if you get caught with it in your car. Distributing, transporting, dispensing, or possession with intent can get you life behind bars, along with a hefty fine of $20,000. Manufacturing concentrates will also potentially get you life in jail, plus a fine of around $50,000. Internal possession of alcohol and/or cannabis in NH counts as straight possession. Most people believe that if you get stopped by the police with drugs or alcohol, ingesting the substance will make the situation better. Since the illicit substance is no longer “on your person”, the cops can’t find it, right? Wrong. In the state of New Hampshire (as well as a few others), the cops can still bust you for possessing these substances even when they’re in your stomach. So if you ever run in to trouble in New Hampshire, remembering that eating what you have on you isn’t a surefire way to avoid trouble. This basically harmless plant is a Schedule 1 drug in the eyes of the Federal Government. Cannabis is in the same class as heroin, and as such the use, cultivation, possession and sale is illegal. So far 18 states have passed medical cannabis laws making it legal in the state, they still carry the risk of being raided and robbed of their hard work. As far as the government is concerned, weed is no bueno. Thankfully, more advocates are pushing for the Feds to remove themselves from the business of medical marijuana laws within allowing states. This entry was posted in Marijuana Laws, Stoner News and tagged cannabis, laws.